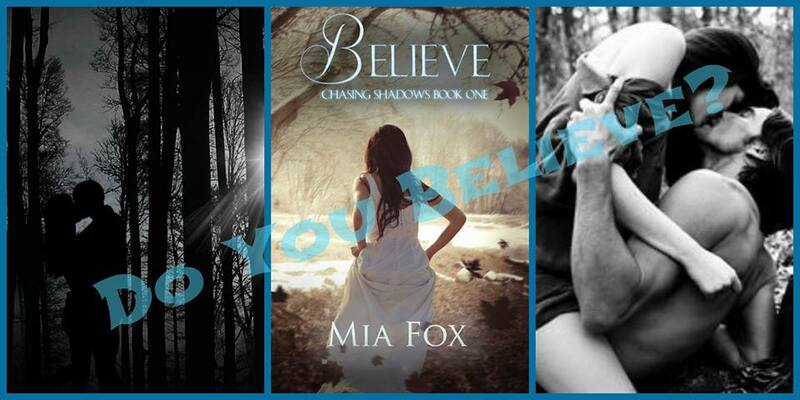 Believe, a paranormal romance and fan favorite, is just 99 cents. Believe, a paranormal romance, is just 99 cents. 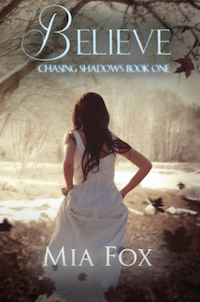 “Believe,” a paranormal romance and the first book in the Chasing Shadow series, is just 99 cents throughout the summer months. This is a very special book to me. At its core, it’s a love story because that’s what I’m all about. But when you dig deeper, you’ll also find that it’s a tribute to the brave men (and women) who serve our country. At the center of the story is Nate, who survived Afghanistan and returned to his love only to fall victim to a tragic accident. Nate’s love, Ella, has trouble moving on and then decides she doesn’t want to when she discovers a connection to Nate’s ghost. The inspiration for the story came from one of my favorite movies, “Ghost,” starring Demi Moore and Patrick Swayze. By no means is “Believe” a re-telling of that wonderful 1990 film, but it shares the same hope and positive message that our loved ones watch over us once they pass. My story differs in that Ella’s family members insist she seek professional advice for her mourning. When she meets Ethan, her therapist, a connection forms for Ethan has also experienced loss. One other piece of trivia revolving around “Believe” is its gorgeous cover. This was a live model shoot in which the fabulously talented PhatPuppy Designs arranged for the model, the setting, the clothing and everything. I couldn’t be more happy with the outcome. Believe is a ghost story and love triangle wrapped up in one wonderful, 99 cent package. Grab a copy today.